The 2018 Legislative Session is behind us, but the positive impacts for our economy and business community will be felt for years to come. In the next several weeks, we will break down some of the most impactful pieces of legislation the Chamber supported over the 45 day session, share insights about the process and why it matters for our members. Last week, we covered the Our Schools Now compromise and what it means for business leaders. This week, we’re talking transportation. 222.That’s how many pages are in Senate Bill 136, Transportation Governance Amendments. This bill was one of the most talked about and debated of the session, mostly surrounding the rebranding and restructuring of the Utah Transit Authority. The bill, however, does much more than that. The 222 pages outline a complete transformation of the state’s transportation governance and funding structures that will help lead Utah to greater economic growth, enhanced quality of life and future prosperity. 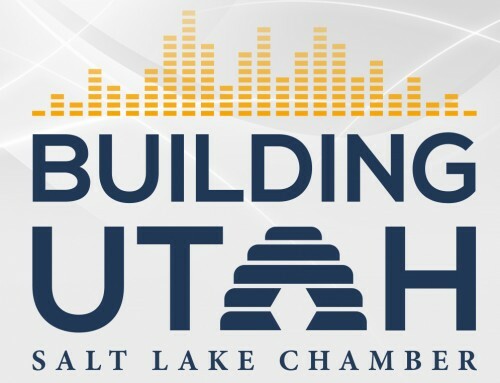 As key members of the task force that studied these issues throughout the summer and fall, the Salt Lake Chamber team was heavily involved in the negotiation process of S.B. 136 and worked closely with stakeholders to find solutions that will help streamline and align investment and funding strategies with Utah’s long-term transportation needs. This was not an easy bill to pass. With so many stakeholders that play a role in the various aspects of transportation, such as local cities and counties, metropolitan planning organizations, various advocacy groups, the business community, legislators, and taxpayers, finding consensus was challenging. After six substitutes, the group was able to find common ground and S.B. 136 passed in both the House and Senate and is now on the Governor’s desk for his signature. Economic development takes center stage. Business leaders might be excited to learn about the enhanced focus on economic development this legislation enacts, especially as it relates to transportation planning and prioritization. Our state’s economic development, transportation and infrastructure investment should not be seen as silos. They are directly tied to each other and our state’s growth depends on smart planning that includes consideration of land use and economic development. As such, land use and economic development are now required to be taken into consideration as part of UDOT’s project prioritization criteria. This could include identifying existing, emerging and future job centers and prioritizing infrastructure to serve those areas, particularly where doing so will improve the jobs to housing balance. Prioritizing projects in this way means less commuting to and from work, improved air quality, more interconnected cities and increased accessibility to multi-modal transportation options for Utah amilies. Ultimately, including economic development in the project prioritization process empowers smarter land-use decisions and contributes to our state’s overall competitiveness. Transit, transit, transit. Before this legislation, Utah was 1 of only 4 states that didn’t have some sort of state funding for transit. Transit is key to advancing the shared goals of increased mobility, economic prosperity, housing affordability and improved air quality. With our state’s population expected to double over the next 40 years, endlessly building new roads is simply not feasible. There must be a stronger emphasis on a multi-modal transportation network that results in more transportation choices within well-planned communities throughout the state. The bill sets forth several mechanisms for state-funded transit projects, including the transfer of approximately $5 million per year into the new state transit account for statewide transit capital projects. It also empowers counties with (or planning to have) transit service to impose a .20 percent local option sales tax specifically for local transit capital projects or improvements. Electric vehicle infrastructure. The Chamber has always supported users bearing the primary responsibility for funding Utah’s infrastructure. While there was an increase in registration fees for electric and alternative fuel vehicles, the revenue from these increases will be used to fund electric vehicle infrastructure throughout the state. This achieves a balance between ensuring those who use the roads pay for them equally while also supporting the continued build-out of our statewide electric vehicle infrastructure. The business community understands that investment in multi-modal transportation is directly tied to economic development and quality of life. This monumental legislation, if signed by the Governor, ensures that we “keep Utah moving” for generations to come. This blog is part of a series recapping the 2018 legislative session and what it means for Utah’s business community.